Do you ever wish you could wake up in the mornings and not have to worry about applying mascara? Come on, we all know what a pain it can be, specially having to take it off each evening! 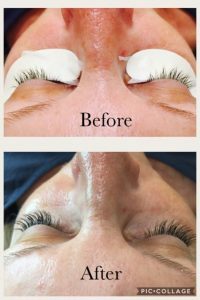 Would you believe me if I told you that here at Bodilight, Kent, we can make those dreams a reality and you can wake up each morning and have powerful eyes without the hassle of the dreaded mascara. We have 2 words that will change your morning routines for the better… Nouveau Lashes! 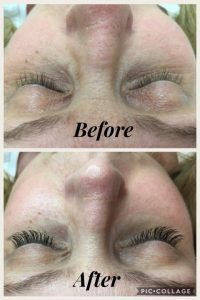 Nouveau lash extensions are the ULTIMATE lash treatment for fuller, thicker and longer lashes. Nouveau use a blend of silk and synthetic material to create an extension that is both shiny and glossy yet they are perfectly shaped and curved to mimic a natural lash. The extension is also light enough to make an impact but not to weigh your natural lashes down, which creates a completely flawless effect. These top quality lash extensions are attached individually to each of your natural lashes. Nouveau lashes come in all different lengths, thicknesses and styles so you can choose how bold of a statement you want to make. Subtlety natural or just all out glamour queen! After a consultation is carried out, you are then free to put your feet up and relax for 2 hours. We allow 2 hours to make sure that you’re getting the best service Bodilight can offer you. Plus you get a 2 hour nap during the day, what’s not to love? Once the treatment is done, your lashes are set to lash a good 8 – 12 weeks after! 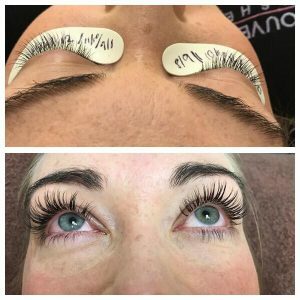 During those 8 – 12 weeks you do have the option to have 2 – 3 week infills if you wish, your infills will keep your lashes looking fuller for longer! Nouveau uses only the best of the best products. They use a latex-free lash adhesive which has been formulated and tested to prevent damage to your natural lashes (because we know how precious they are) The horror stories you hear about family/friends having individual lashes done and when removing them they are left with no natural lashes, they have probably come from those brave souls that try and remove lashes themselves.. We do not recommend you do that, EVER. Bodilight offer a free lash removal service or we also sell a Lash Extension Remover for home use. Please do not pull them off. Once you have your individual lashes done you will not need to apply mascara or eyeliner to them. If you can’t resist, please be careful when taking it off at the end of the day. Oils in the make-up and make-up remover can lessen the life span of your new lashes. Nouveau offer an eye make-up remover that is oil free and gentle on the skin to offer a safer and more effective way of removing any make-up from the eyes/eyelids to assure that you get the most out of your lashes. Also, at your lash appointment we will offer a lash wand that you can take home with you to comb your lashes through throughout the day, but most importantly when you was in the morning, because if you’re anything like me, you always seem to squash one eye into the pillow, so your lashes will need a bit of a comb through in the mornings to guide them back into the correct position. If you like what you read (what’s not to like, right?) you can book an appointment with one of our Nouveau trained therapists and get those powerful eyes you’ve always dreamt of. Call us on 01843 866833 or send us an email to info@bodilightkent.co.uk or you can find us on Facebook under Bodilight Kent.